Churro Cookie By Oh Bite It. 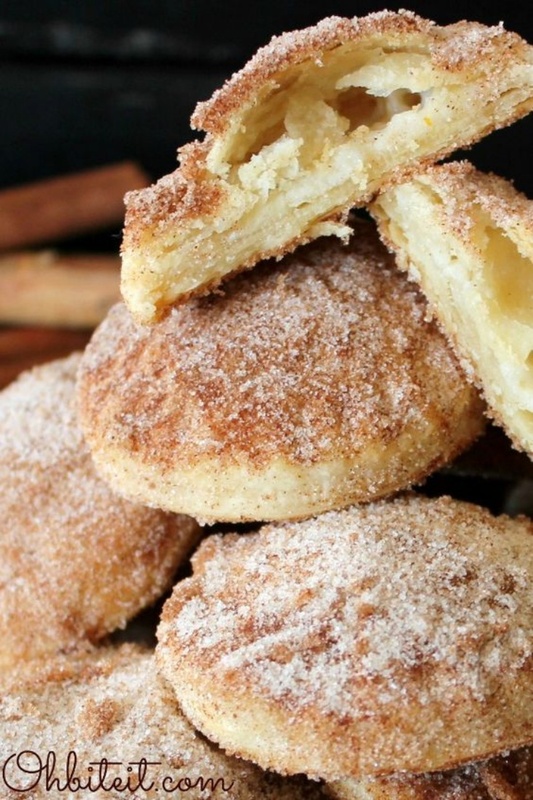 They’re tender, warm and totally Cinnamony. All it takes is one bite and you’re hooked. They’re made from Pie Crust, so they’re beyond buttery, totally flaky and filled with sweet Cream Cheese. These have a melt in your mouth quality like nothing else your lips have ever experienced!